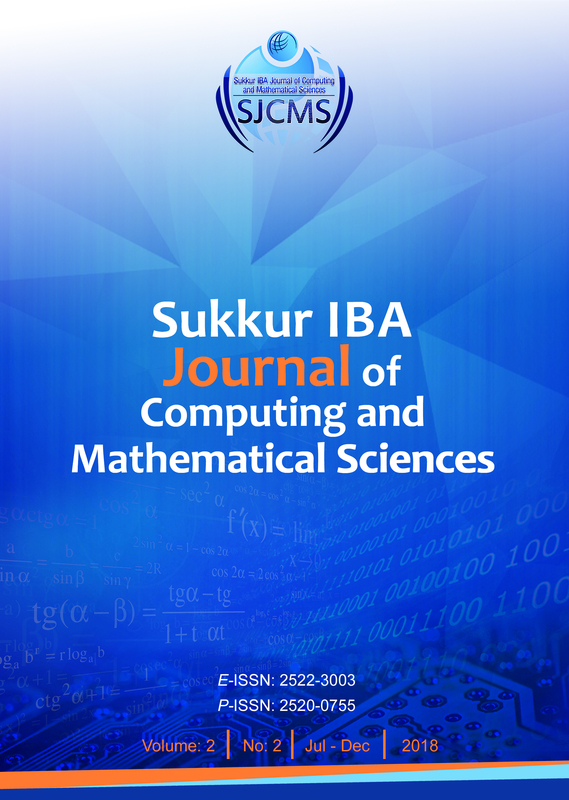 It is pleasure to present to you the fourth issue of (issue 2, volume 2) of Sukkur IBA Journal of Computing and Mathematical Sciences (SJCMS). The technological innovations and advancements enabled the easiness of life. From the smart wheelchairs to smart homes, automated cars and smart agriculture, we are equipped with information and communication technology. To design smart devices, variety of sensors are used that generate massive data that creates a huge opportunity for the researchers. In order to cope with the future technology challenges, the SJCMS aims to publish cutting-edge research in the field of computing and mathematical sciences for dissemination to the largest stakeholders. SJCMS has achieved milestones in very short span of time and is indexed in renowned databases such as DOAJ, Google Scholar, DRJI, BASE, ROAD, CrossRef and many others. On behalf of the SJCMS, I welcome the submissions for upcoming issue (Volume-3, Issue-1, January-June 2019) and looking forward to receiving your valuable feedback.